Access to the presentations, lunch and all breaks are included in the price. Room cut-off for the hotel is February 7. "This room rate is guaranteed through Feb. 7, but does not guarantee availability - please secure your room early." EXCLUSIVE trade show for IAMIC members only - a chance to visit with the claims staff from our Member companies during all breaks and lunch. Click here for a printable registration form to see the details of the event. You can save by registering online! 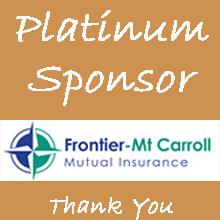 Click Here to see our Sponsorship Opportunities. Members only for this trade show - Not a member, email Jackie at [email protected] for details on how to join our Associate Membership. This includes a table top with draped table and two chairs and is on a first come first serve location choice. Check as we get closer to see if you can set up the night before. © Copyright 2018 IAMIC. All rights reserved.